We offer various manufacturers of Garage doors including Garador which is one of the UK’s leading manufacturers of garage doors. Utilising German engineering expertise, they have developed a range of garage doors that are unsurpassed in the industry. 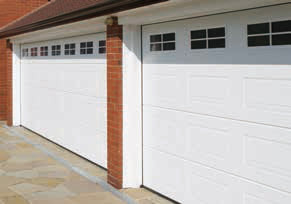 Garage doors have been engineered to offer an attractive appearance without compromising on functionality. We are committed to delivering reliable and durable products, and to strengthen that commitment, all Up & Over and Sectional garage doors come with a 10 year limited warranty, and roller roller doors a 5 year limited warranty, as standard. With an extensive selection of colours, finishes and styles to suit both modern and traditional homes, you are sure to find a Garador that is perfect for your home. 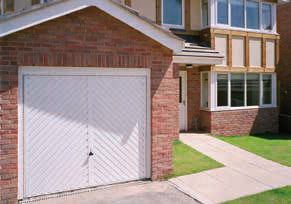 Click here to view the full range of Garador garage doors. If you are unsure of which garage door is best for your property, please ask our representative to advise you of the benefits of each door. 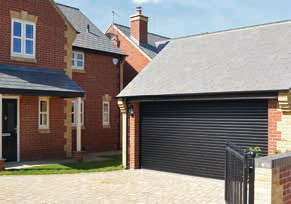 By purchasing a Garador garage door you can be assured of the highest level of quality, safety and security. In line with our commitment to quality products, we impose rigorous quality control standards during the production of our doors and operators. All of our garage doors comply with European Safety standard BS EN 13241 and have therefore been developed to include valuable safety features such as an anti-drop device and a spring containment system which prevents broken spring parts from flying into the air. Furthermore, our garage doors are designed to prevent unforced entry with a secure locking cylinder and locking rods for Up & Over doors, and automatic locking on operators for Sectional and GaraRoll doors.